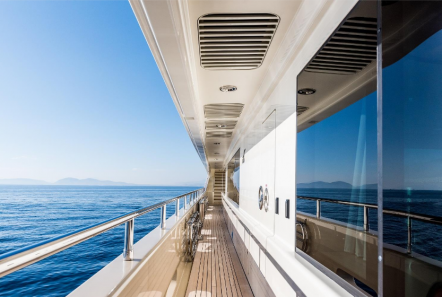 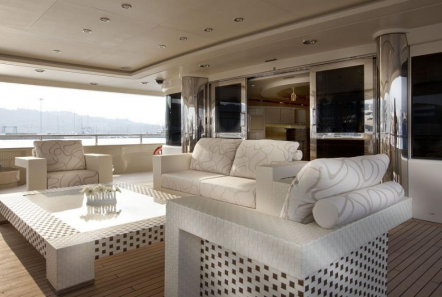 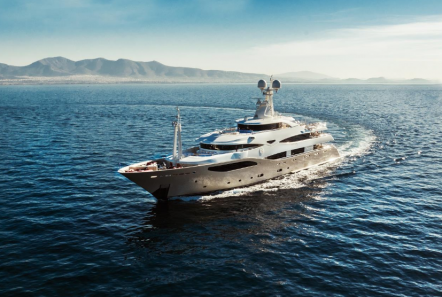 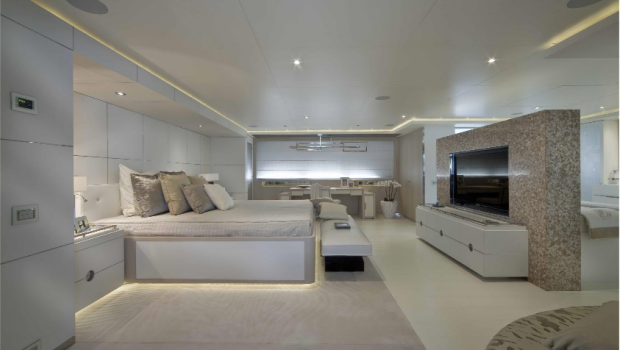 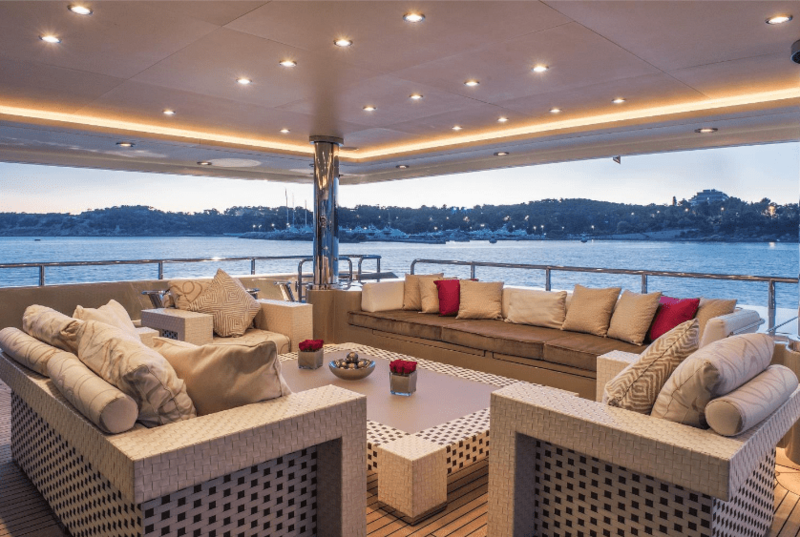 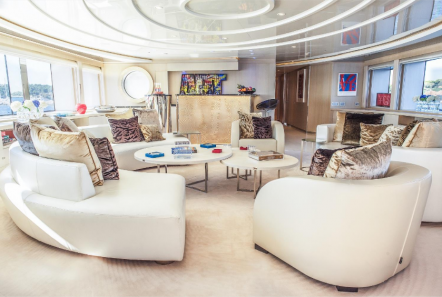 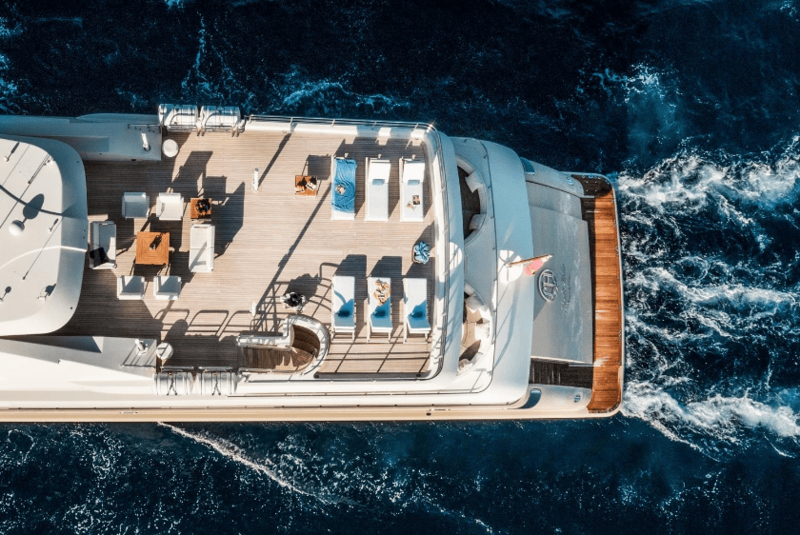 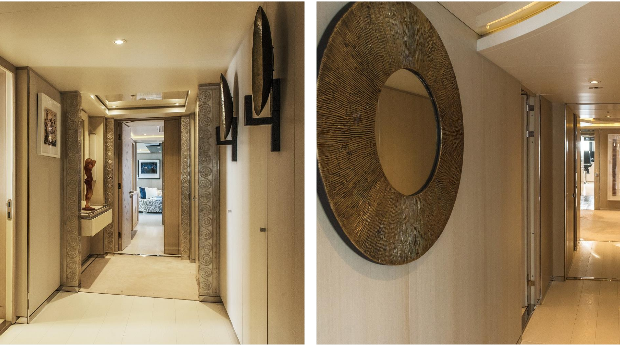 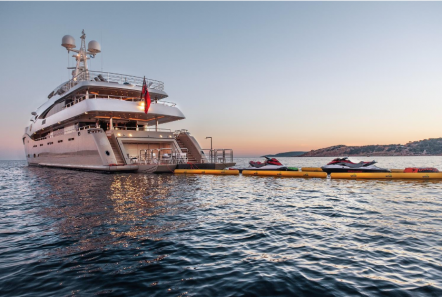 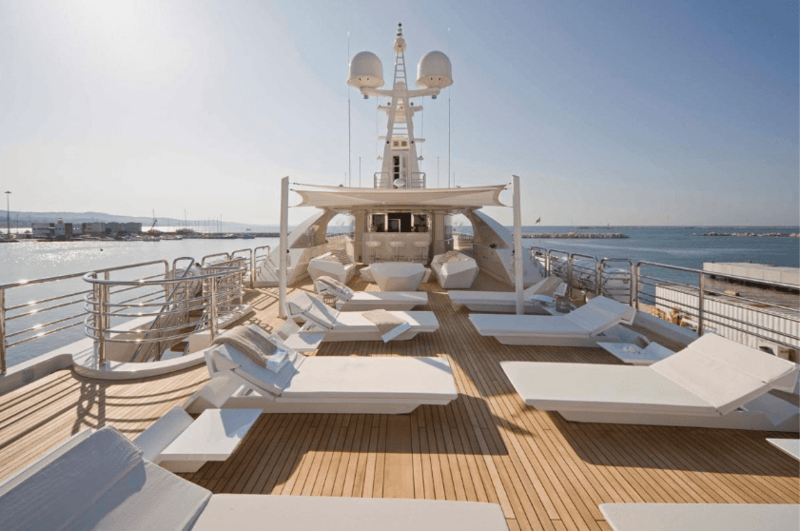 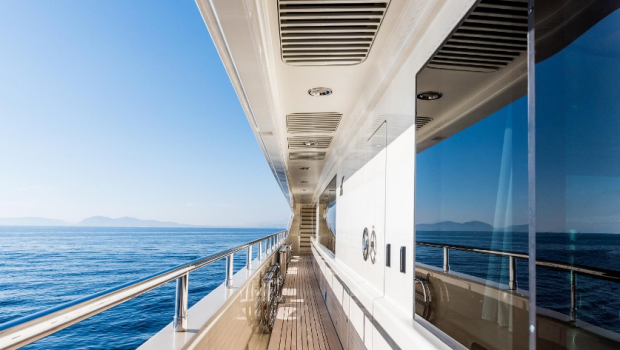 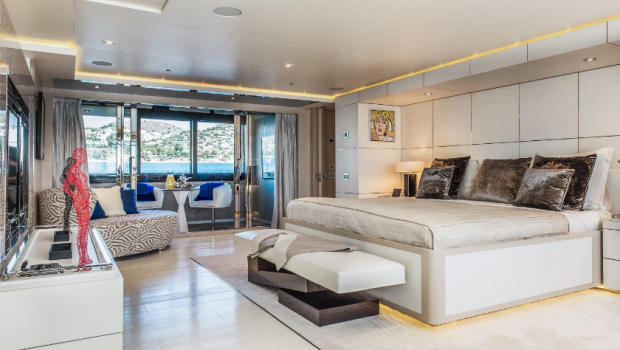 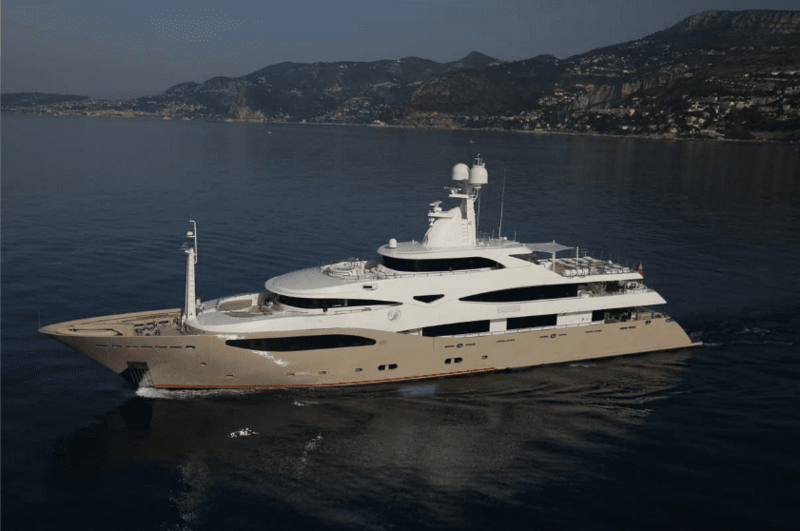 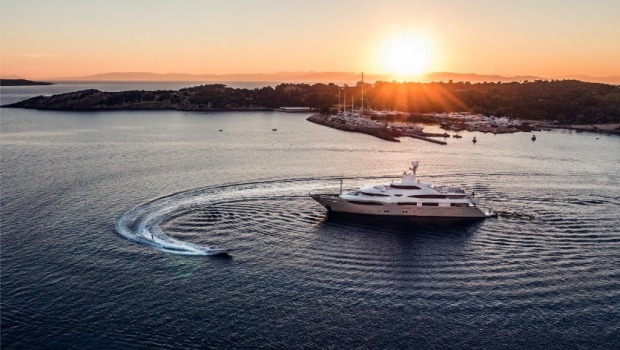 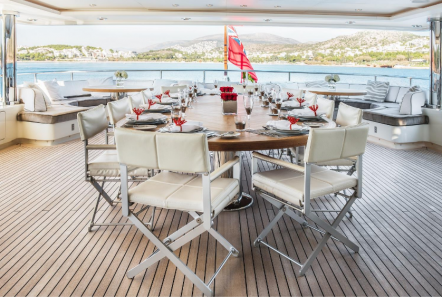 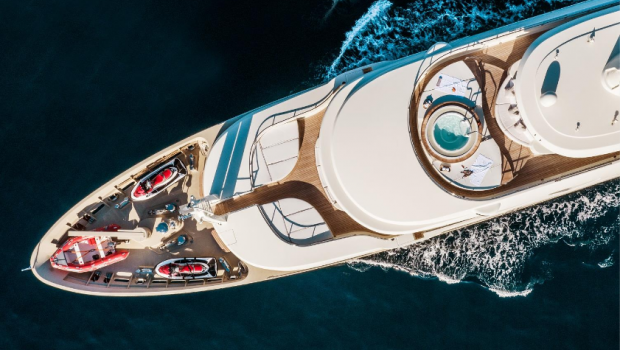 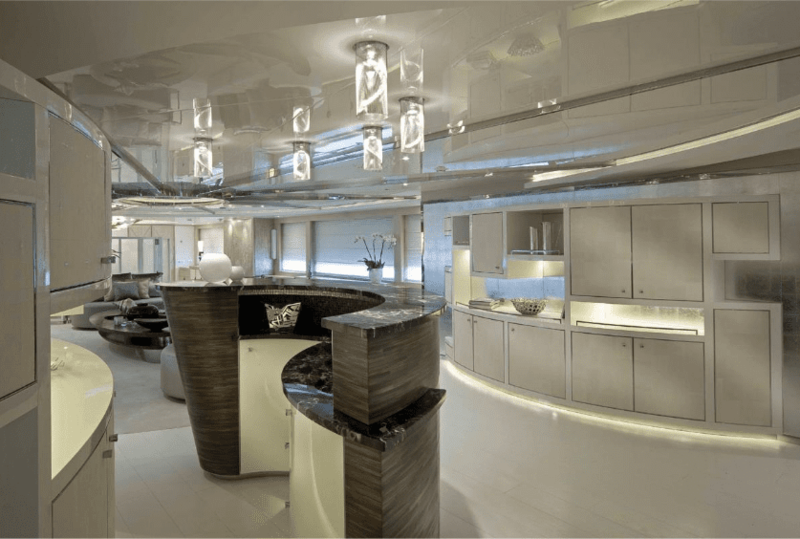 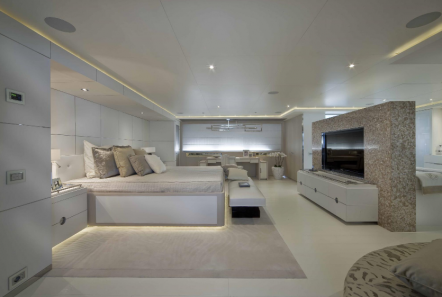 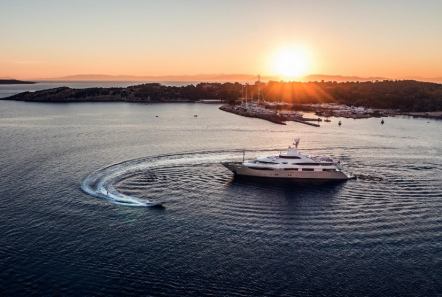 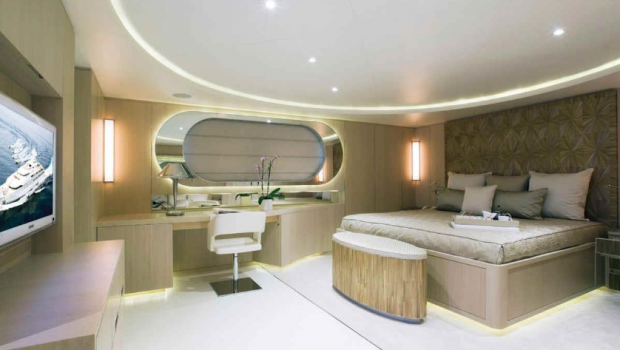 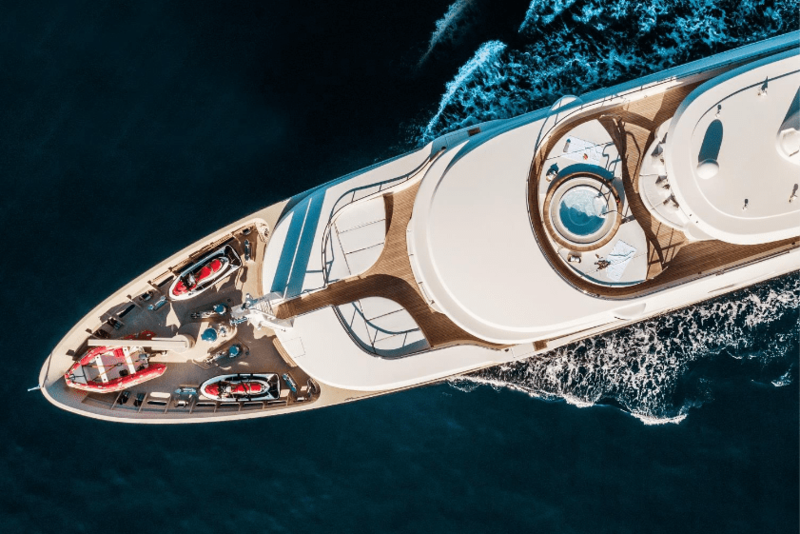 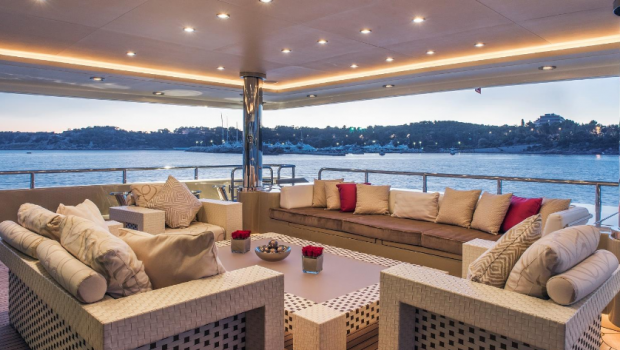 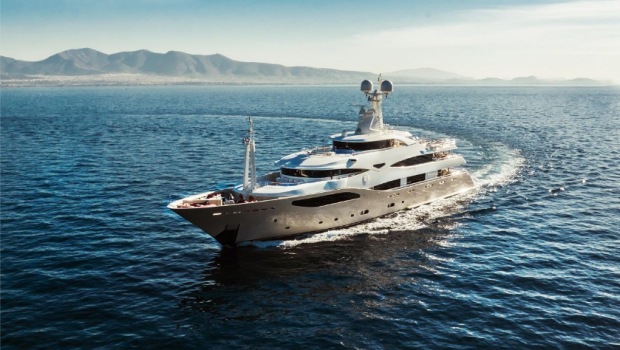 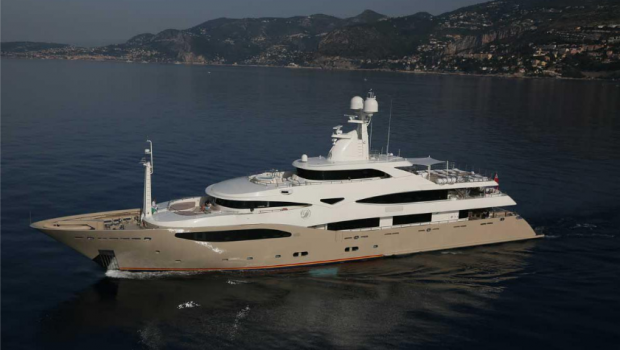 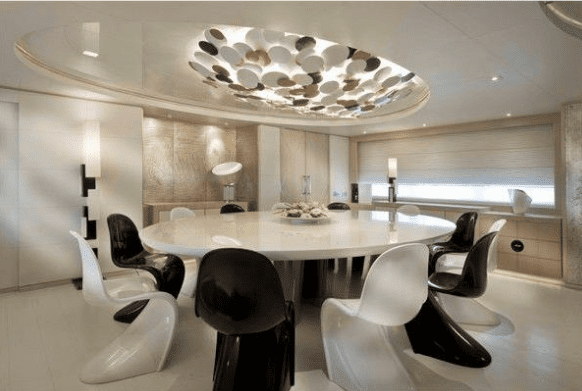 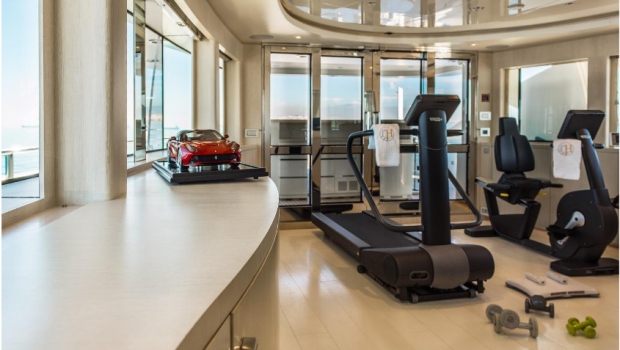 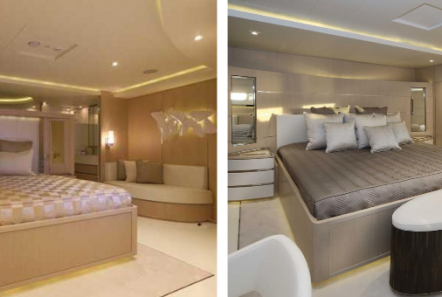 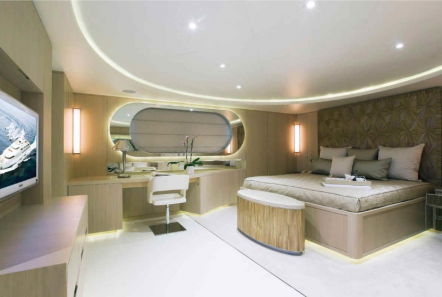 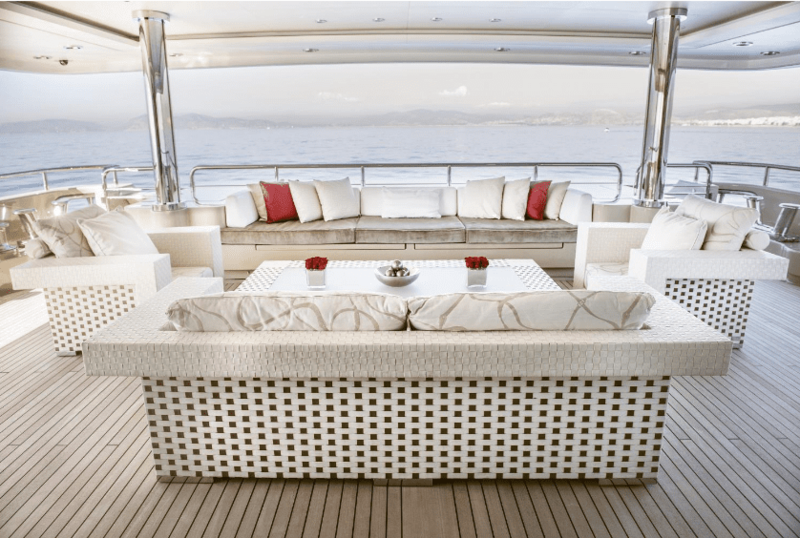 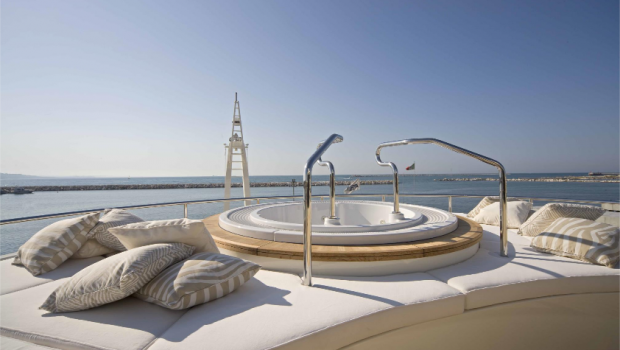 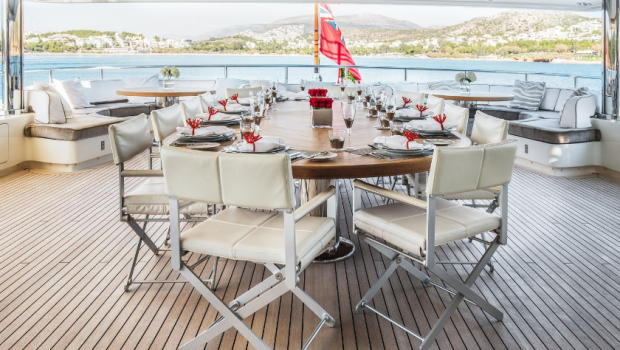 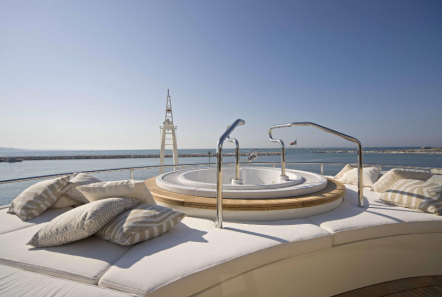 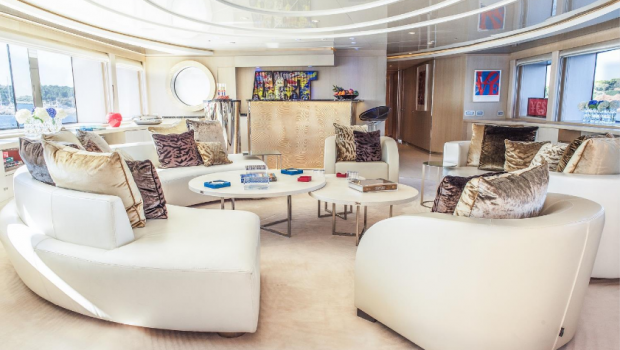 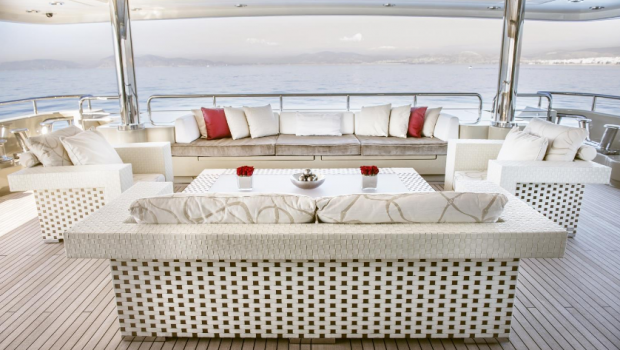 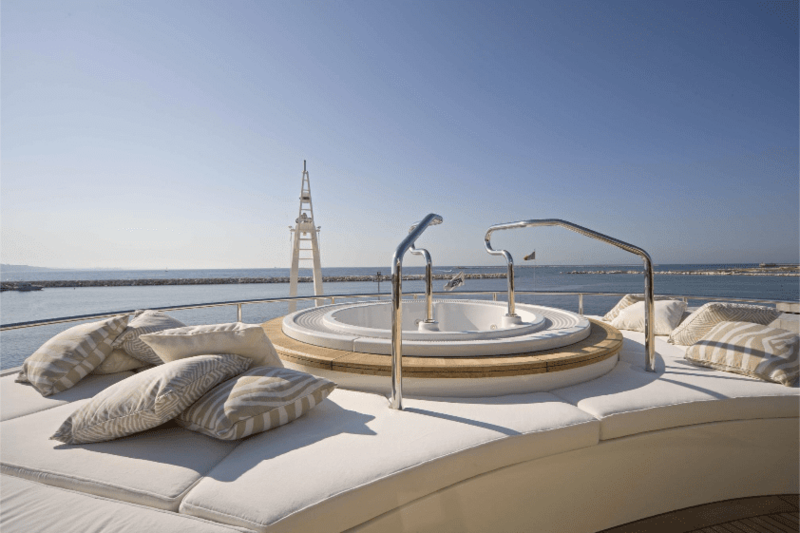 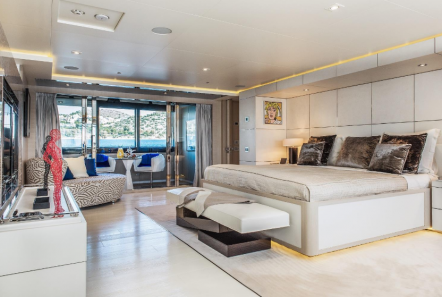 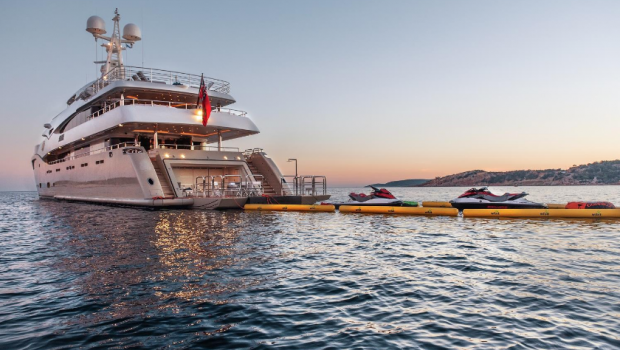 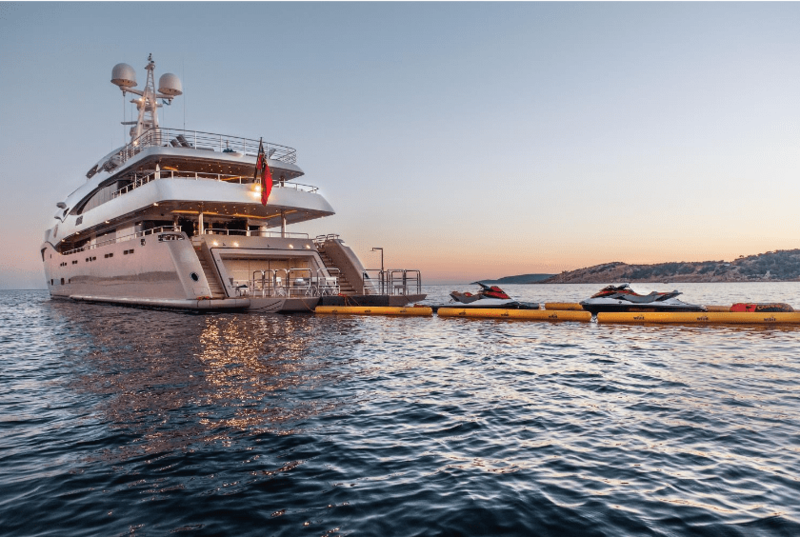 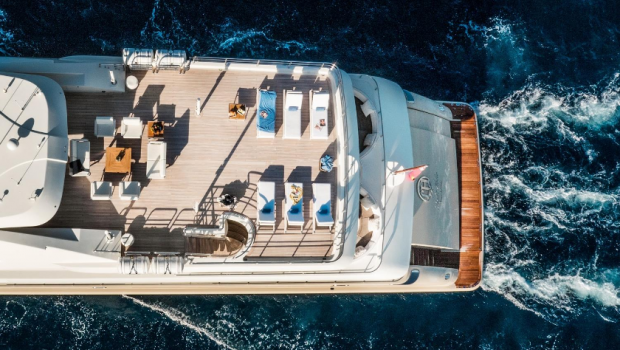 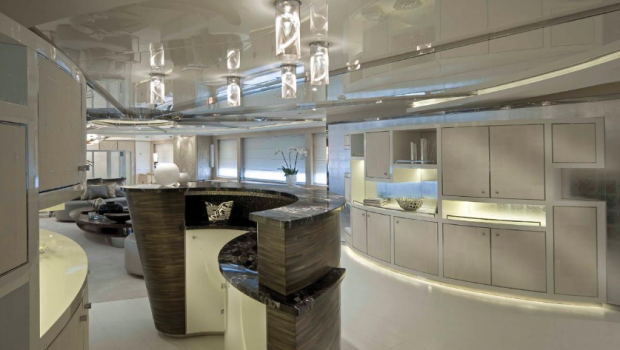 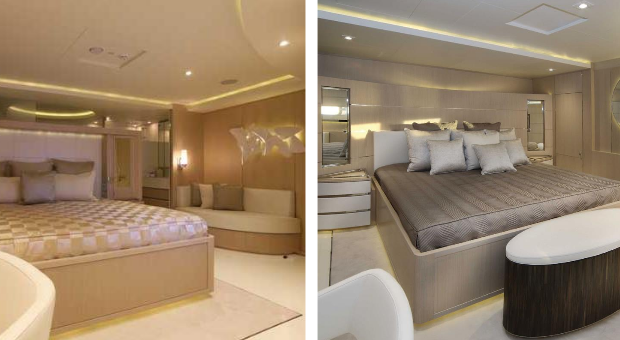 The CRN built LIGHT HOLIC is 196 feet in length and accommodates up to 12 guests in six lovely staterooms. 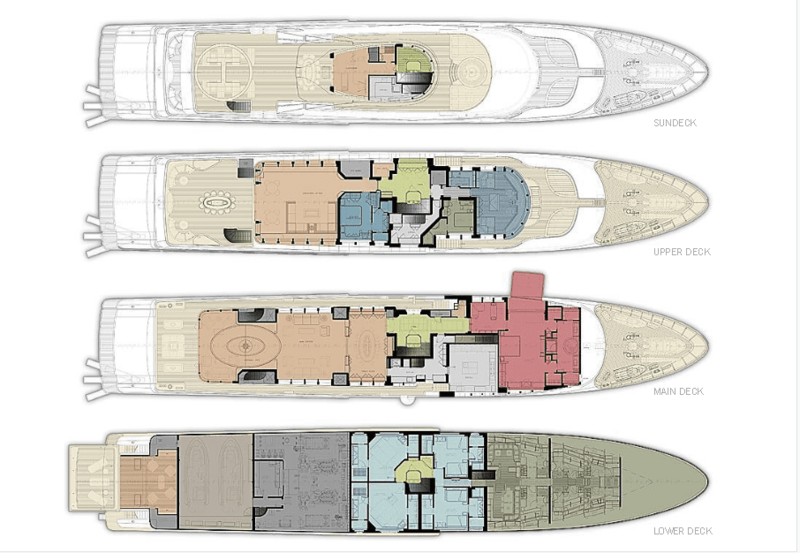 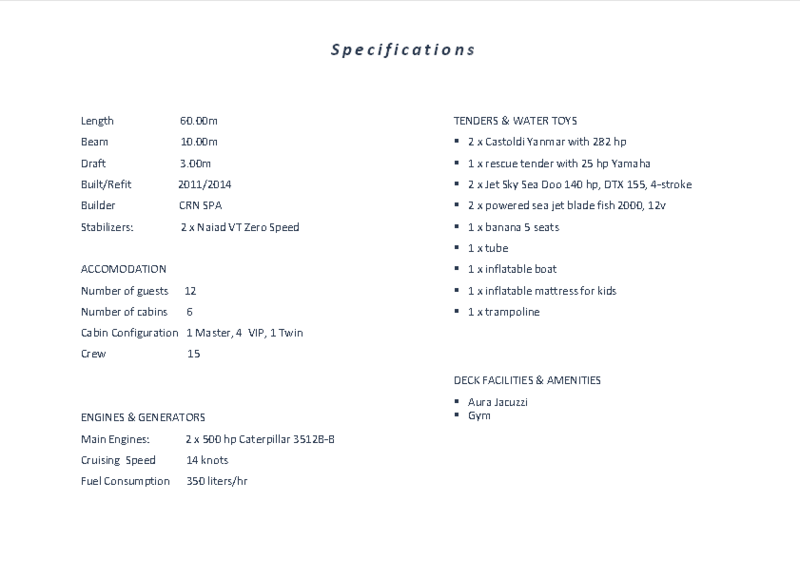 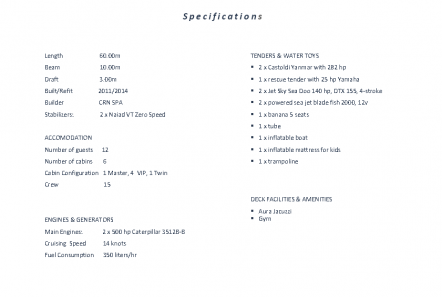 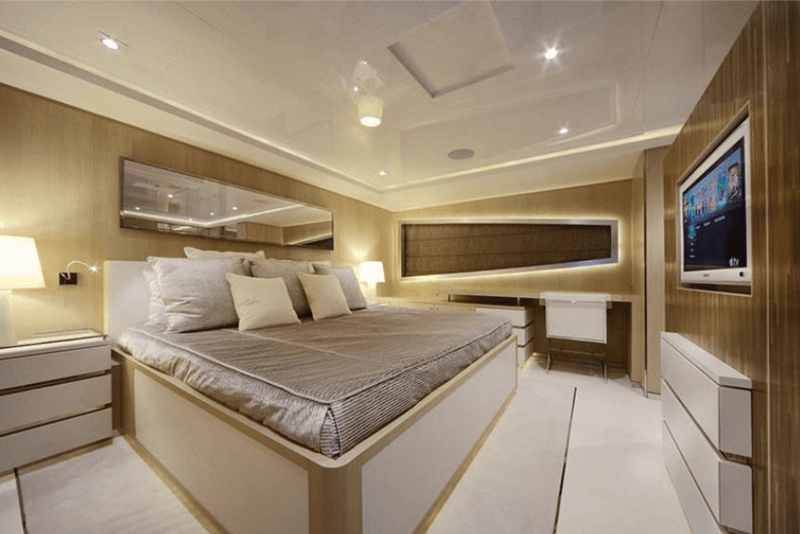 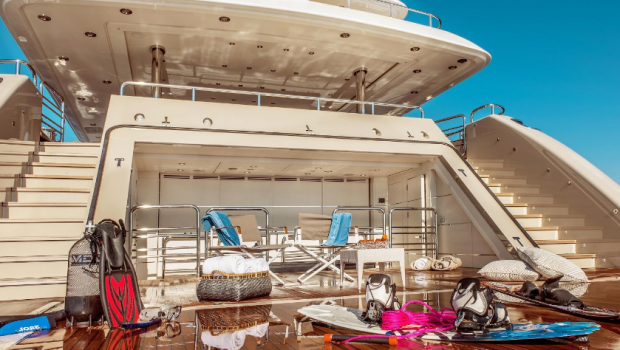 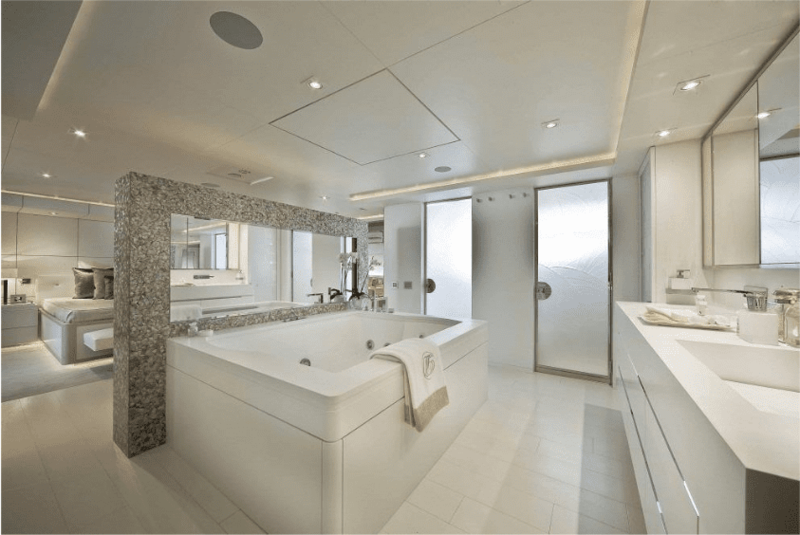 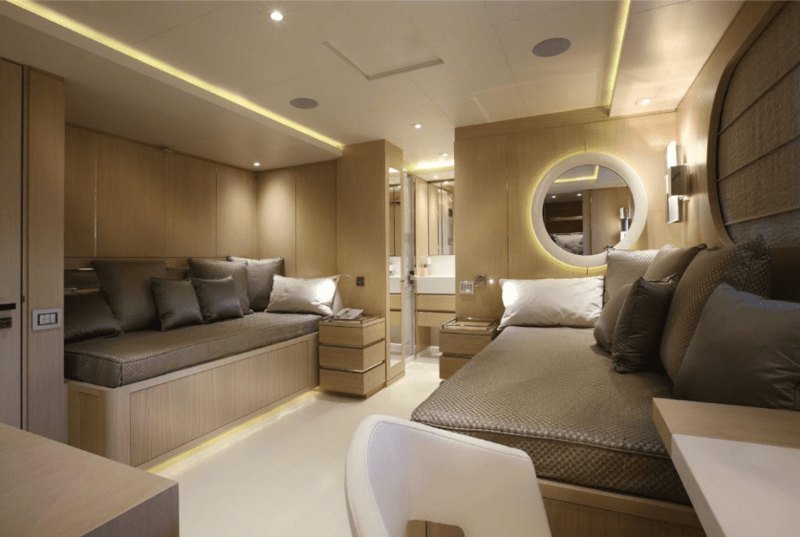 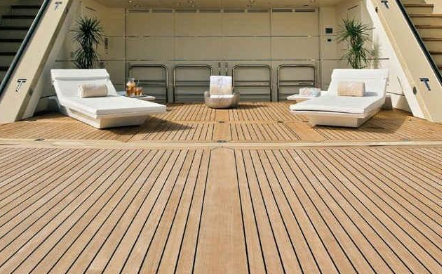 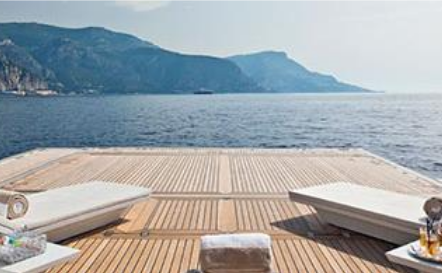 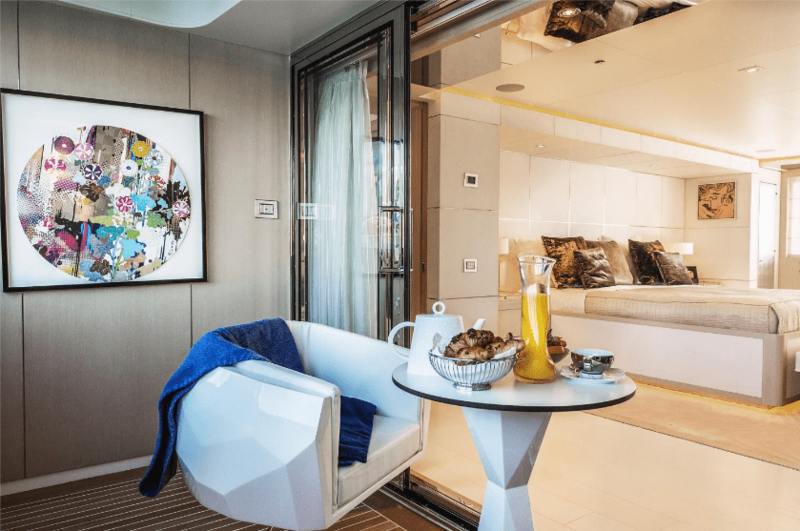 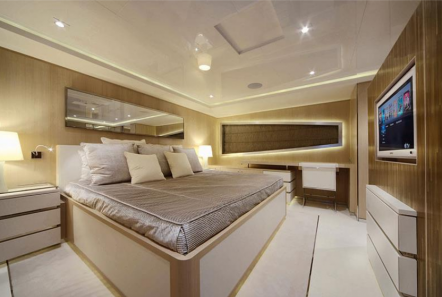 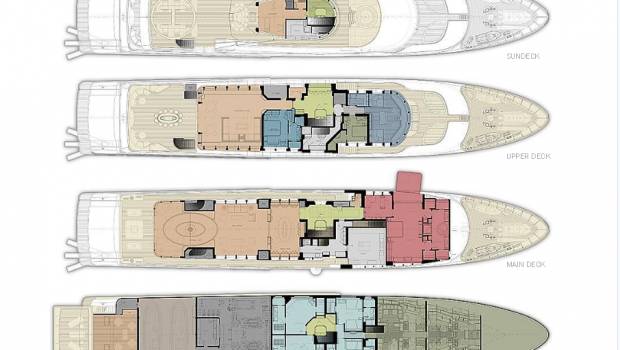 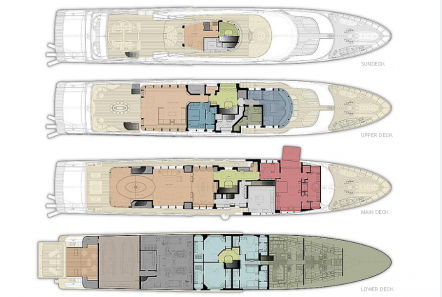 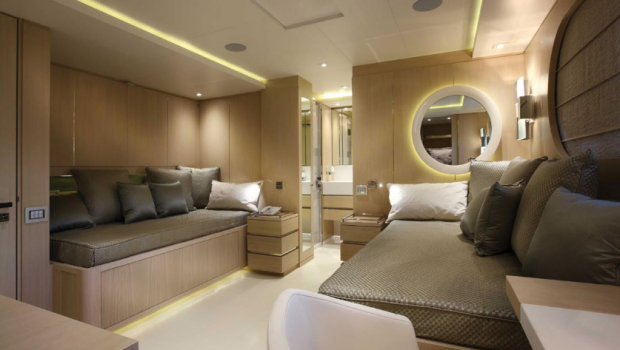 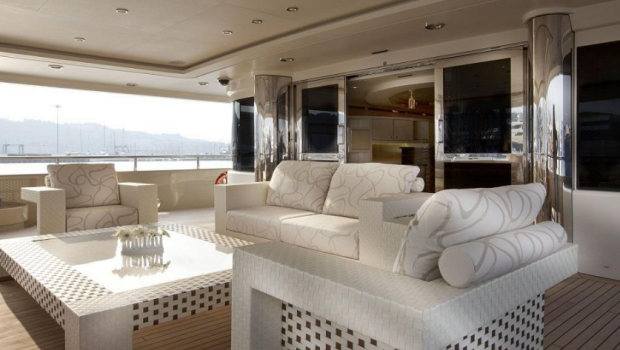 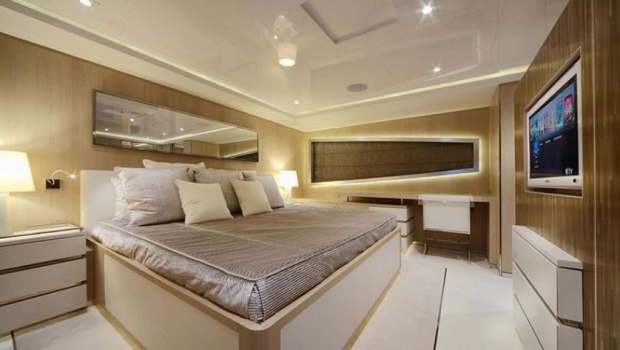 There is a large master suite, 4 additional double cabins and one twin cabin. 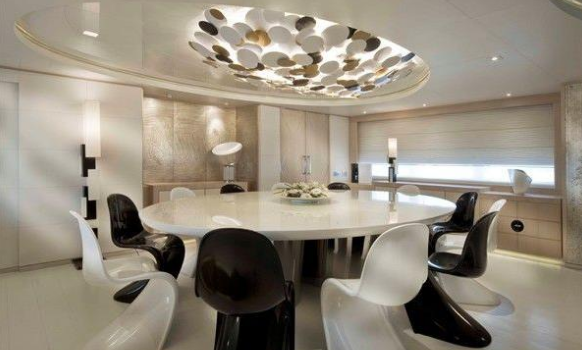 The elegant salon houses many comfortable sofas and a bar and partitioned from here is the dining room. 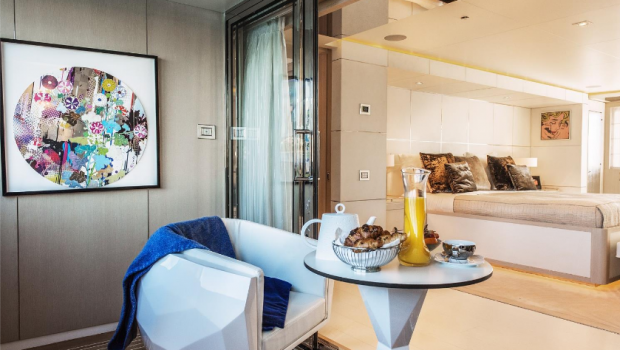 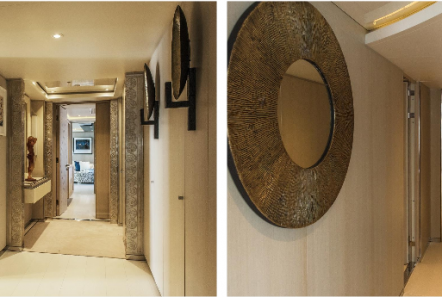 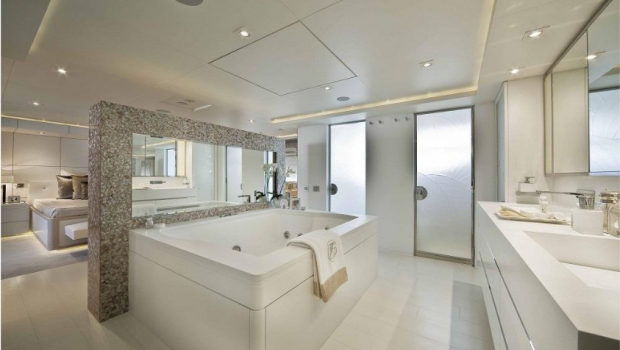 The clever use of mirrors help reflect the sunlight making her interior bright and light. 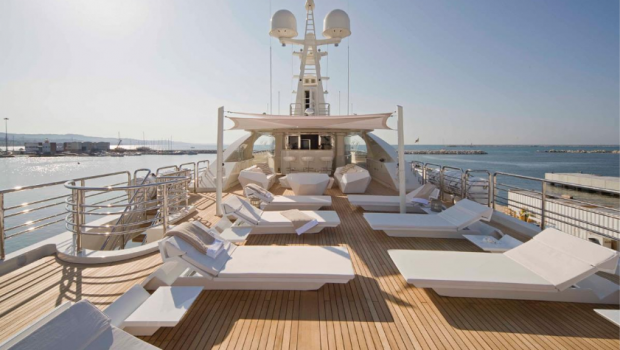 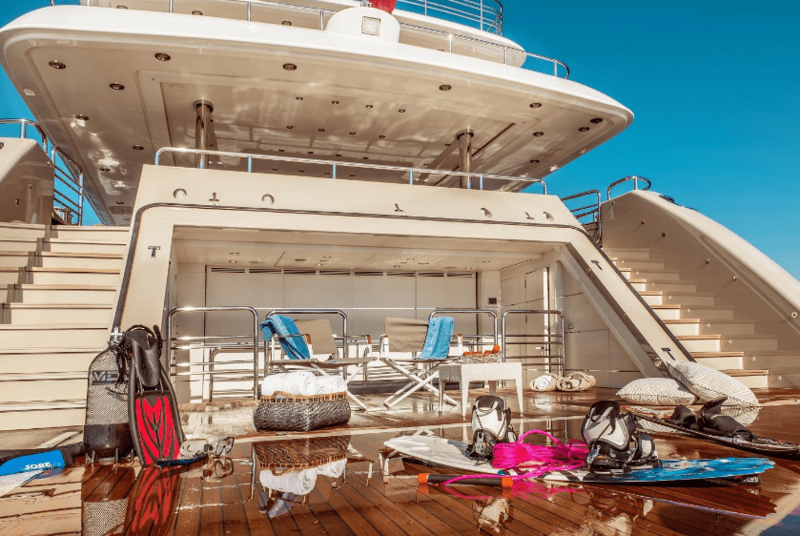 There are many spacious areas to relax whether sunbathing on the massive upper deck on comfortable lounge chairs or soaking in the Jacuzzi. 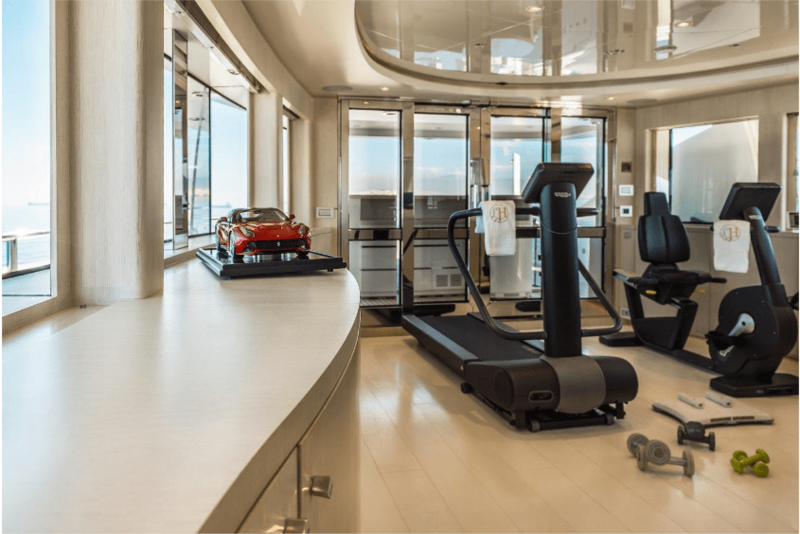 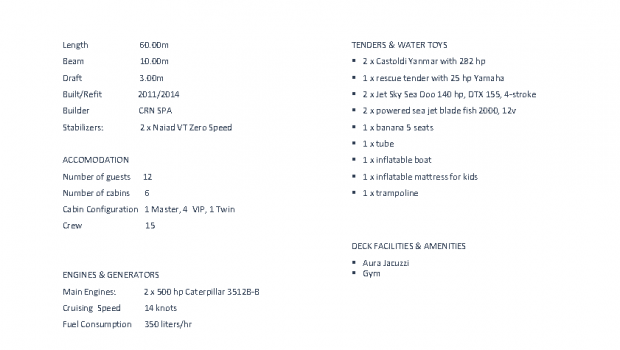 If feeling more active then work out in the gym or use some of the abundance of sea toys aboard.. She is staffed by a crew of 15.